Why Obama's Budget Could Make Health Waves : Shots - Health News The administration's budget still matters, even though it's late and the House and Senate have approved their own spending blueprints for fiscal 2014. President Obama laid down markers that could lead to changes in Medicare and Medicaid and affect funding for a broad array of health programs. OK, the conventional wisdom about the budget President Obama sent to Congress yesterday is that's irrelevant. It's two months late, after all, and the House and Senate have already approved their own spending blueprints for fiscal 2014. But here's why it matters when it comes to health. First of all, the Congressional budget process isn't exactly done. The House and Senate still haven't met to merge their differing proposals (and they are very different) into a consensus plan. So the president's formal input could still mean something, at least in theory. Second, Congress hasn't yet begun its annual appropriations process, where a little over a third of federal spending is determined. So it's not too late for the president's wish list for spending for next year for agencies like the National Institutes of Health ($31.3 billion, up $471 million from fiscal 2012), Centers for Disease Control and Prevention ($11.3 billion, down about $270 million) , and the Food and Drug Administration ($4.7 billion, up $821 million) to mean something. Finally, late though it may be, the budget gives the administration the chance to make a statement about its legislative priorities, and, possibly, to lay a few bargaining chips on the table. Here are a few from the health portions. Raising the tobacco tax to help pay for more early childhood education. This is a two-fer, according to CDC Director Tom Frieden. Not only do early childhood education programs improve the health of young children, but young people are the most price-sensitive to the cost of tobacco. As a result, he said at the department's budget news conference, "increasing the price of tobacco is the single most effective way to discourage kids from smoking, and we estimated that this would result in at least 230,000 fewer kids smoking than would have smoked than if the tax does not go into effect." To address gun violence, the budget calls for an increase of $130 million to help teachers and other adults detect potential symptoms of mental illness in young people, as well as train 5,000 mental health professionals who will focus on the mental health needs of students and young adults. At the same time, said Health and Human Services Secretary Kathleen Sebelius, "new investments are being proposed for the CDC to research gun violence, to develop effective strategies to prevent future tragedies." CDC technically remains under a Congressional funding ban with relation to most gun-related research, although President Obama ordered that research to resume earlier this year. Medicare and Medicaid changes: Most of these are holdovers from last year's budget and from the deficit reduction plan submitted in the fall of 2011. 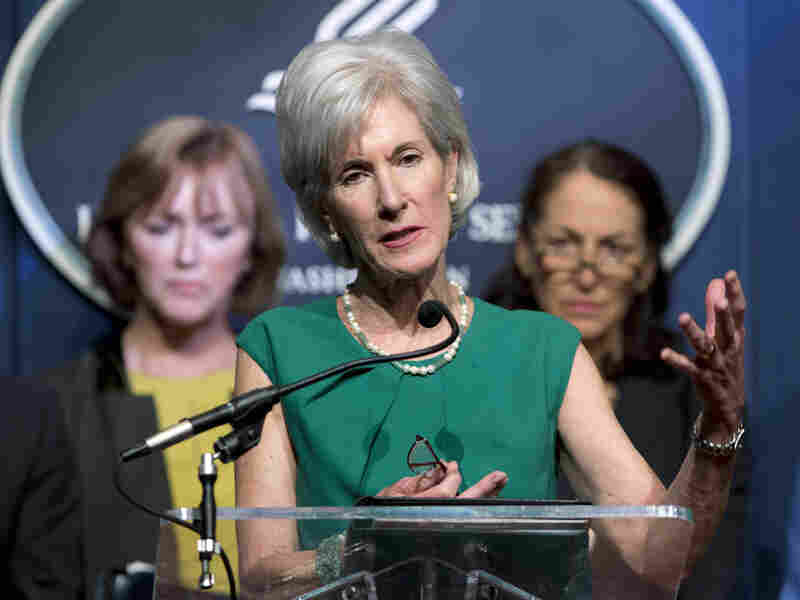 In all, it proposes about $371 billion in Medicare savings over the next decade, Sebelius said. While most of the savings would come from reducing payments to health care providers, about $57 billion would come from increasing payments by beneficiaries. New beneficiaries would be asked to pay higher Part B premiums and, for the first time, all beneficiaries would be asked to make copayments on home health services. And the higher premiums now charged to higher-income beneficiaries for doctor and drug coverage would be expanded, so that eventually a quarter of all beneficiaries would pay them. The Administration stopped short of some rumored changes, such as merging Medicare's inpatient and outpatient programs. But beneficiary groups still aren't thrilled. "Instead of making harmful cuts to Medicare or shifting additional costs onto beneficiaries, we need to look for savings throughout the health care system, including Medicare," said AARP Executive Vice President Nancy LeaMond in a statement. The budget dropped most of the changes the administration had previously proposed that would have trimmed spending for Medicaid. That's an effort to ensure governors that it intends to keep its promise to pay the lion's share of a Medicaid expansion under the Affordable Care Act. But it does propose one change that had some people scratching their heads. It suggests delaying a planned reduction in the payments hospitals get to help pay for uninsured patients. The original theory behind the cuts (included in the Affordable Care Act) was that because Medicaid would be expanded starting in 2014, states would no longer require such large disproportionate share payments to offset charity care, since they would be providing less of it. But now the Medicaid expansion is optional, and some hospitals are worried about the worst of both worlds: their state won't expand Medicaid, and they will also lose their disproportionate share payments. The delay, however, is less then meets the eye, administration officials insist. "What this allows states to do is to complete their legislative decision making" about whether to expand Medicaid or not, Sebelius said, "before they run into what they see as a cut that they can't stop right now, and can't do anything with until the legislators make a decision about Medicaid funding in the future."